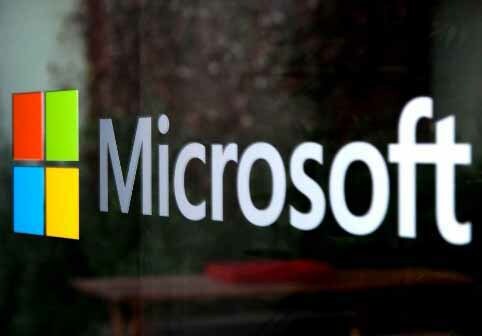 Mumbai : Microsoft hosted Future Unleashed, its largest ever customer conference, in India recently where the company announced significant partnerships with Wipro Limited and Dell. Major IT infrastructure and hosting service providers in the country also have joined hands with Microsoft to offer hybrid cloud services to their customers. Tata Communications, Netmagic, Sify and NxtGen are significant amongst these. Existing users of IT infrastructure services from these providers will now be able to extend to Azure with seamless service integration. This will allow customers to retain their existing investments and interests with their service providers and benefit from high value infrastructure and platform services of Azure like analytics, media and mobile services, machine learning, disaster recovery, etc. Wipro Limited launched its ‘Travel & Expense (T&E) Management as a Service’ solution for the B2B segment on Microsoft’s Azure platform with general availability due in December. This solution will enable organizations, across industry sectors, to carry out the process of travel-related reporting and reimbursements with ease. The intuitiveness, performance and insights offered by the solution will be similar to that of popular social apps. In addition, Dell has announced a new hybrid cloud solution, featuring technology jointly developed with Microsoft, designed to break down the barriers customers experience on their path to cloud. Being the first hyper scale public cloud provider to offer services from datacenters in India, Microsoft is seeing rapid growth in usage driven by the digital innovation of customers. Leading banks, financial institutions, hospitals, media companies, e-commerce organizations, government departments, and telecom providers have become early adopters of local Microsoft cloud services that were launched four weeks ago. Leading banks and financial institutions have adopted Office 365 to redefine productivity and enable quick decision making while reducing IT infrastructure costs. Notable names include IDFC and ICICI Lombard. Kotak Mahindra Bank’s payroll processing, portfolio analytics and HDFC Bank’s customer experience analytics have also moved to the Microsoft cloud through ISV solutions hosted on local cloud. Dipak Gupta, Joint Managing Director, Kotak Mahindra Bank said, "At Kotak, we are on a journey to provide stakeholders, both internal and external, the best of experiences as they engage with us. Information technology and digital transformation will play a key role in enabling this." "With our payroll partner ZingHR moving our data to Microsoft Azure services offered from the local datacenter, our employees will now be able to access their information quickly on a device of their choice from wherever they are. The time taken for periodic processing will also reduce significantly along with benefits of reduced costs and improved compliance," he added. Local Microsoft cloud services adoption has also been fueled by new partnerships with leading system integrators (SIs), new-age independent software vendors (ISVs), content companies, application developers and OEMs. Businesses of all sizes and across diverse industries are leveraging the local cloud for better productivity and enhanced customer experience.